You are viewing the archive for the ‘Pol Sambola’ tag. 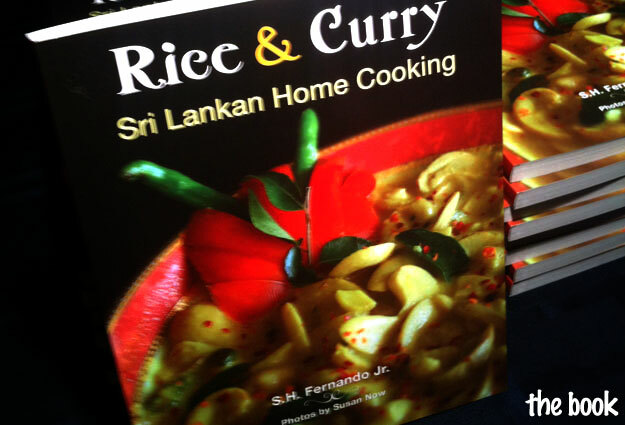 Rice & Curry book by S.H Fernando Jr. introduces food from Sri Lanka. 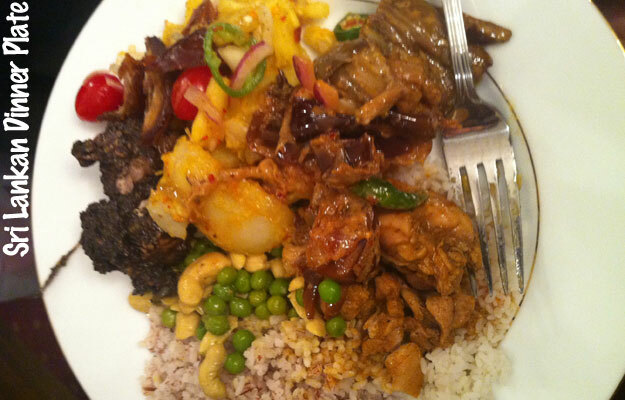 Here are some authentic Sri Lankan delicacies served at Sri Lankan’s ambassador’s house during the book’s launch (Embassy press release). 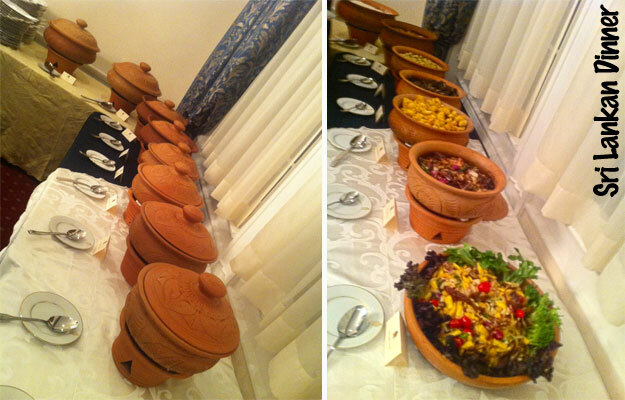 The Sri Lankan dinner was served buffet style in traditional clay pottery. 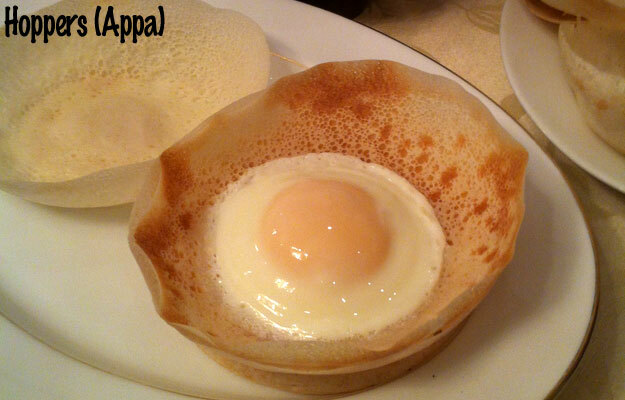 Egg hoppers (Appa) is a bowl-shaped thin pancake, similar to South Indian, made with yeasty rice flour made breakfast and dinner. Chicken curry is similar to curries from Indian subcontinent, but made with some different ingredients such as lemon grass. 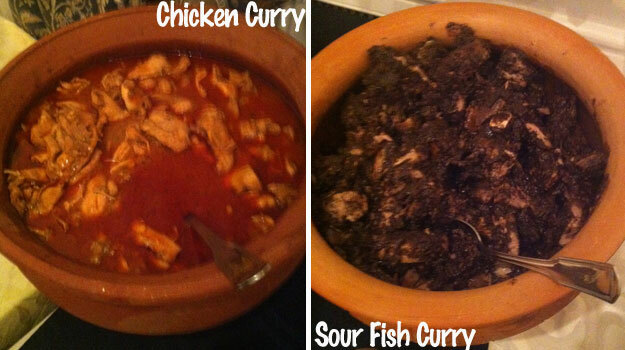 Sour fish curry made from tuna and flavored by gambooge (goraka), which gives it a complex flavor acquired sour taste. 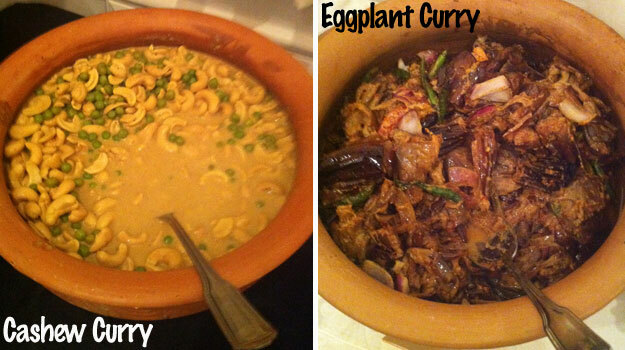 Cashew curry made with raw cashews in coconut milk, being one of its major producers. This eggplant lived up to the author’s description of being the tastiest — slightly sweet and savory made with deep fried eggplant in coconut milk. 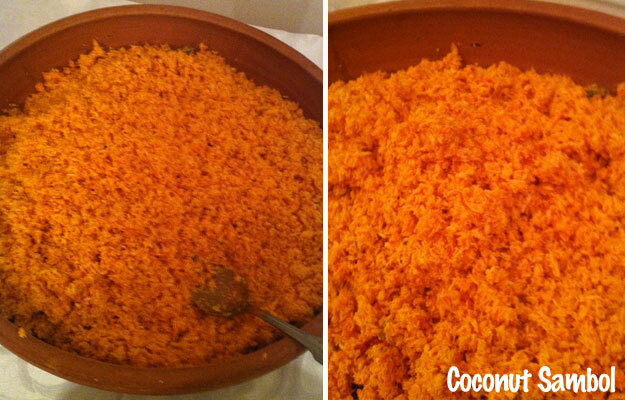 Sambol a unique condiment made with spiced grated coconut and onions, sometime flavored by dried shrimp. 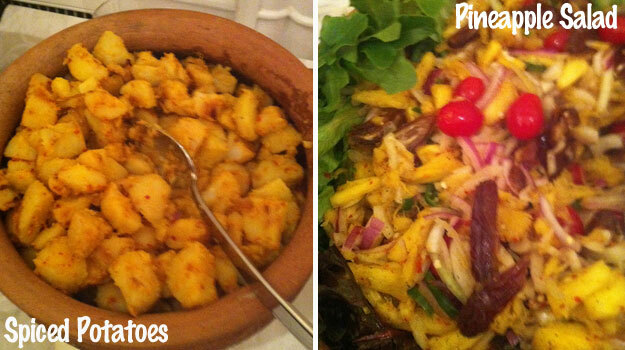 Rice & Curry cookbook on Sri Lankan home cooking has 100 easy to follow recipes. The book is now featured in New York Times list of notable cookbook in 2011 and you can read more of author’s writing in a blog with same name, Rice & Curry.